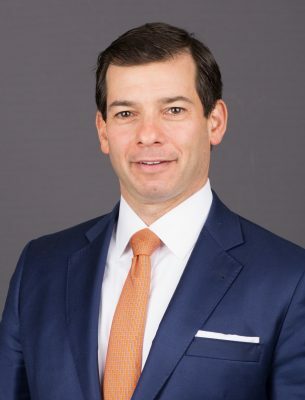 Mr. Reitzas previously served in the legal department for Rockefeller & Company, Inc., an associate for Bear Stearns & Company, Inc., and a senior associate at a large New York law firm. He also serves as President of the Board of Directors for 200 East 16th Street Housing Corporation, and principal of Harkness Advisors, LLC. A longtime member of the New York Bar Association, Mr. Reitzas completed his undergraduate work at Bowdoin College in 1998, and received his Juris Doctorate from the Benjamin N. Cardozo School of Law in 2001. Mr. Reitzas is admitted to practice in the U.S. Supreme Court, the states of New York, New Jersey and Pennsylvania, the U.S. District Courts for the Southern and Eastern Districts of New York, the U.S. Court of Appeals for the 9th Circuit, the U.S. Court of Appeals for the 3rd Circuit and the U.S. Court of International Trade. Mr. Reitzas has been active as a committee member for the Richard A. Reitzas Athletic Endowment for The Wheeler School, and as an alumni interviewer for Phillips Exeter Academy, and Bowdoin College. He previously served as a committee member for the New York State Bar Association’s Committee on Attorney Professionalism and member of the Hedge Fund and Private Equity Group at the Harvard Club of New York.